See the newest Instagram and blog updates from Hong Kong including our day tours, cool activities and the Hong Kong life in general. Hong Kong Tours | Have you booked your tours in Hong Kong yet? With the arrival of spring, Hong Kong immersed itself in the beautiful rays of sunshine. The perfect time for Hong Kong day tours to soak up some sun while exploring this exciting city! 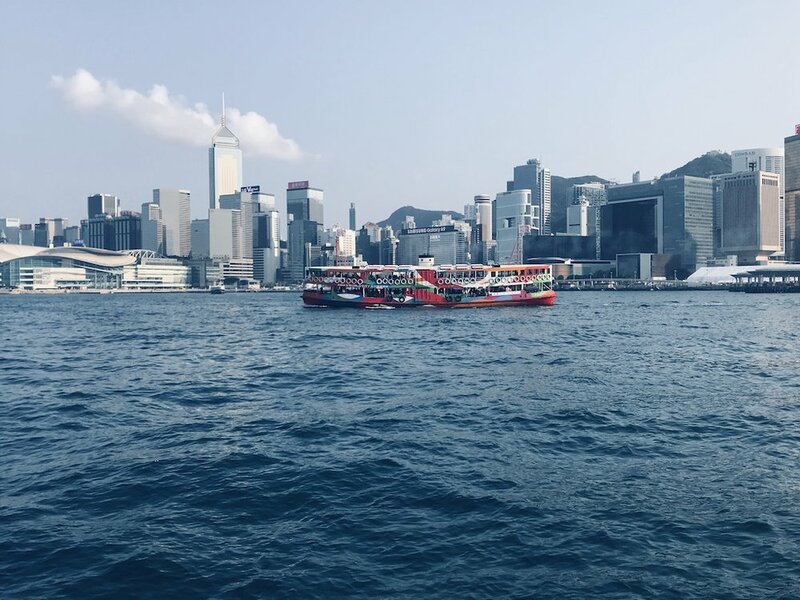 Cross the Victoria Harbour on the most iconic “Star” on your Hong Kong private tours and ask your Hong Kong tour guides about the history of the Star Ferry. Take the Star Ferry and shoot your iconic moment on your tours in Hong Kong! Your private tour guide Hong Kong will help you to create your very own Hong Kong city tour memories! The weather is getting cooler, the lights are getting brighter, being on a Hong Kong city tour requires a jumper, your Hong Kong tour guides are more cheerful and might walk you through Hong Kong tours in Christmas outfits, and you know 'tis the time of the year! We can admire on Hong Kong private tours our beautiful city's most wonderful Christmas decorations in every corner. However, one of the most impressive ones on your tours in Hong Kong is the decoration at 1881 Heritage! If you have booked a Hong Kong city tour, ask your Hong Kong tour guides to take you to 1881 Heritage in TST! After nine years of construction, on 24 October 2018, the HZMB - as it is inofficially called amongst the local - was opened to public after its inauguration by Chinese President Xi Jinping a day earlier. The Hong Kong–Zhuhai–Macao Bridge, is a bridge–tunnel system consisting of cable-stayed bridges and an undersea tunnel, as well as two artificial islands. It connects Hong Kong with Macau and Zhuhai, three major cities on the Pearl River Delta. If you come with us on a Hong Kong Lantau Island tour, we will show you on the second part of this particular Hong Kong day tours a part of this 42 km long massive construction. If you already visited the Big Buddha, another Lantau Island things do to could be to take a picture of this famous bridge. A great object for photgraphy enthusiasts, ask your tours in Hong Kong to be on Lantau Island to get your personal shot of the bridge! Your Hong Kong tour guides will be able to give you all the details about the HZMB! If you have booked Hong Kong day tours and don't know what to do after your Hong Kong city tour, we as your private tour guide Hong Kong have one of the best places to take you to! Ranking in the Top 10 Bars in the World's 50 Best Bars 2018, we can finish your Hong Kong private tours at "The Old Man"! This bar is inspired by Ernest Hemmingway and named after his Pulitzer Prize-winning fictional novel The Old Man and the Sea. If you have been on tours in Hong Kong, you probably have passed this bar, without noticing. Offering innovative and delicious cocktails, this place is a "must visit" place after your Hong Kong tours. Ask your Hong Kong tour guides about their favourite "The Old Man" cocktail for some inspiration! On your Hong Kong day tours, it will be impossible to get passed a street food stall without noticing the delicious smell of the waffles. You will be surprised though that these waffles look a bit different. Our so-called "egg waffles" or "gai dan jai" are an eggy leavened batter cooked between two plates of semi-spherical cells! These mouth-watering desserts come with all kinds of fillings and additions... How about chocolate filled green tea waffles? Or what about purple sweet potato? What ever your gusto, make sure that your Hong Kong tours include a taste of an egg waffle. There are many places to see on Hong Kong tours but one of the most vibrant and interesting areas and a "not to miss" on Hong Kong day tours or your Hong Kong night tour is Mongkok. With a population density of 130,000 people per sqkm, this district is described as the as the busiest in the world by the Guinness World Records. Mongkok is known for its retail, restaurants and entertainment. For example, have you ever thought of going on to the bird market on tours in Hong Kong? The original market was in Shanghai Street but then had to move. Ask your Hong Kong tour guides to tell you more about it. Looking for Hong Kong things to do at night? 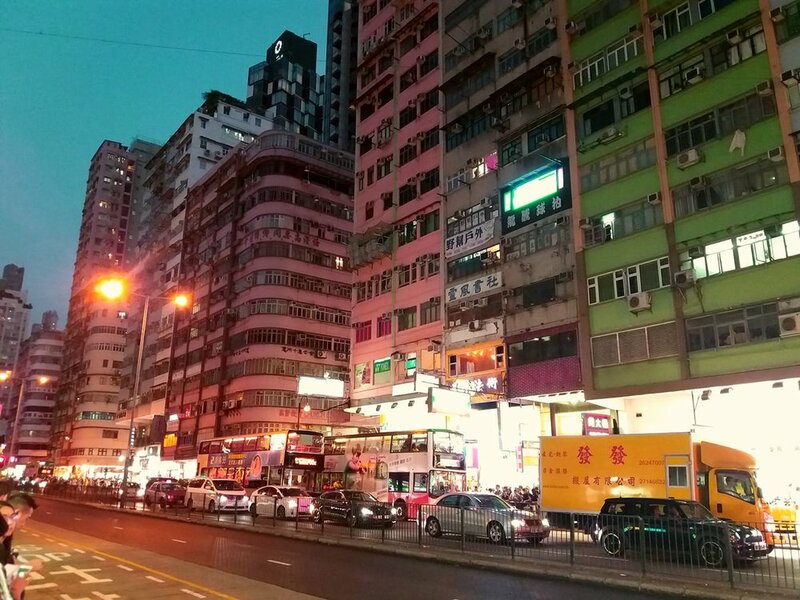 Join the local and visit the restaurants or other markets in Mongkok. Also if you need a contrast to your Hong Kong harbour cruise, Mongkok will not disappoint you! Hong Kong tours are not complete if you have not visited a traditional Chinese dry food shop. You will find most curious things from fish maw to dried bird's nests to sea cucumbers. Most of these things are dried and need to be hydrated again. Then they get added into the soup or one can drink them. The sea cucumber is one of the Hong Kong food that get dried and hydrated again. As a Hong Kong foodie, you can, of course, skip trying this but when you are on Hong Kong day tours with us, we will also take you through the districts that sell the dried food. You can be sure that your Hong Kong tour guides will plan THE most interesting tours in Hong Kong and will make sure that you have a great day out! The Tian Tan Buddha was erected in 1993. Facing north to look over the Chinese people, this 34 metres high statue is an impressive masterpiece and took 12 years to complete. You can see the right hand is raised to deliver blessings to all and when you climb the 268 steps for a closer look at this remarkable statue, you can see he is surrounded by six devas. Your Hong Kong Big Buddha tour will not only take you to visit the Big Buddha... It is a Lantau island tour, meaning, you will also visit the historical fishing village of Tai O and more. If you are thinking about Lantau island things to do, this tour is for you! Feeling hot and didn't even have a coffee yet? 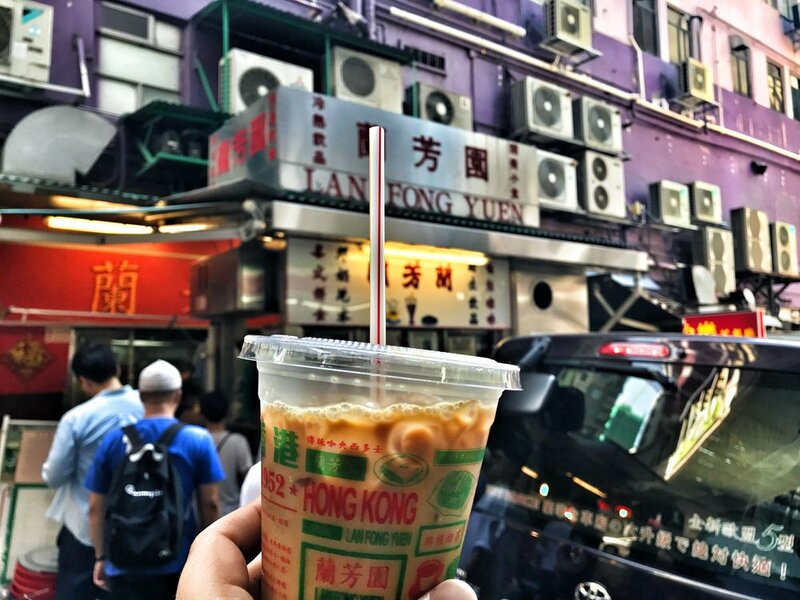 Give this delicious beverage a try on your Hong Kong street food tour! Yuenyeung is a Hong Kong-style milk tea with a twist! It actually is coffee with tea and condensed milk. A "MUST TRY" for any serious Hong Kong foodie! Your Hong Kong food guide will get you the best one in Mid-Levels. Of course, this is just one of the many delicious things to try on Hong Kong foodie tasting tours. After some delicious Hong Kong food, try the Yuenyeung on your Hong Kong food tour! Evidence suggests that sausages were already popular both among the ancient Greeks and Romans. The Chinese sausage làcháng, was first mentioned in 589 BC. The picture below was taken on one of our Hong Kong Foodie tasting tours. Our Hong Kong food guide Mel is a big fan. Mel says that the làcháng is a very useful ingredient in the daily cantonese cooking. Our guests love to learn about it on our Hong Kong food tour. Be warned though, you can not eat it 'raw' like a Salami - it HAS to be cooked or else it will make you sick. Let our Hong Hong tour guides show you the ins and outs of local food!